Posted January 31st, 2018 by Lillian Price & filed under Dental Care. Posted January 18th, 2018 by Lillian Price & filed under Dentist. Do you have an ongoing health issue such as diabetes, high blood pressure, cancer, or thyroid disease? Have you had a hip or knee replacement? Maybe you smoke. 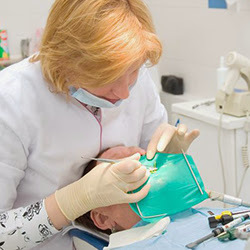 If so, these concerns should be reviewed by dental professionals before they treat a patient. Posted January 15th, 2018 by Lillian Price & filed under Dental Care. Few things are more universal than the love of and desire for a bright, beautiful smile. After all, a smile is a smile anywhere in the world. It’s something that you can share with everyone from strangers on the street to that special someone to the friends and family who make life worthwhile. Posted January 15th, 2018 by Lillian Price & filed under Dentist. Posted January 9th, 2018 by Lillian Price & filed under Dentist. The latest innovations in dental technology has made it so any oral complication can be corrected. From teeth whitening, to complete Restoration Dentistry for missing teeth, a skilled dentist can revamp a smile for anyone.